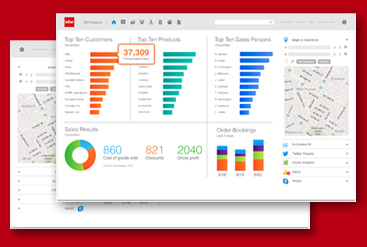 Are you considering purchasing Infor CloudSuite Industrial (SyteLine)? Contact us as soon as possible and let us help you fully access the needs of your project before you are sold modules you don’t need. The ability to understand the business goals of our customers, the ability to design realistic solutions, and the ability to translate that design into a cost-effective implementation plan is the guiding principles of KJC Consulting Group. Today, we are serving clients with a full range of Business Consulting, ERP Implementation, Project Management, Software Selection, Skills Assessment and System Support. KJC Consulting Group is entirely independent and is not affiliated with Infor or any other ERP vendor. We will show you exactly how SyteLine® can improve your organization, and We will show you exactly how SyteLine® can improve your organization, and where it cannot. We can show you which modules will help you, and which modules you should table for later. Without our help up front, you run the risk of purchasing the wrong modules, and having misguided expectations during implementation. It is a great mid-market ERP system and as past top Infor consultants, we know the application from hand-ons experience. We know all add-ons, how they integrate and where they don’t integrate, where it shines, and where it does not.